A3: High public scores and ratings, but not as good as A1 or A2. Generally low risks. Such ICOs should be definitely paid closest attention to. 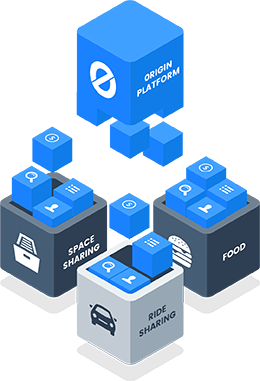 Origin is a sharing economy marketplace and set of protocols that enables buyers and sellers of fractional use goods and services (car-sharing, service-based tasks, home-sharing, etc.) to transact on the distributed, open web. Using the Ethereum blockchain and Interplanetary File System (IPFS), the platform and community are decentralized, allowing for the creation and booking of services and goods without traditional intermediaries. To accomplish these ambitious goals, the Origin platform is being launched with incentives from the outset to encourage other technologists, businesses, and consumers to build, contribute, and extend the ecosystem with us. We imagine a broad collection of vertical use cases (e.g short-term vacation rentals, freelance software engineering, tutoring for hire) that are built on top of Origin standards and shared data. Together, we will create the Internet economy of tomorrow.